Yes! 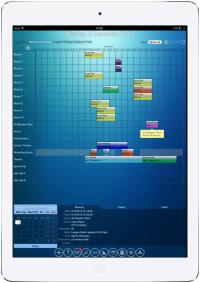 - You can access our room and resource scheduling software, MIDAS, from your iPad. There's no additional "app" to purchase or install, simply use your device's browser to navigate to your MIDAS URL. 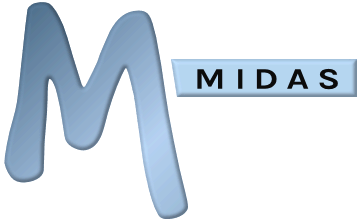 You can use MIDAS with your iPad or other tablet device in either landscape or portrait orientation and MIDAS will adapt to the orientation accordingly. 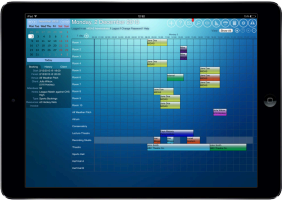 ← You can even install a Home Screen icon to allow MIDAS to act like your other iOS apps, for easy one-touch access to your bookings.